O.M.S. creates Heavy Duty Automatic Pallet Stackers. 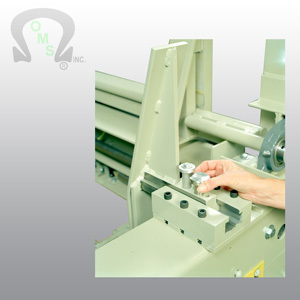 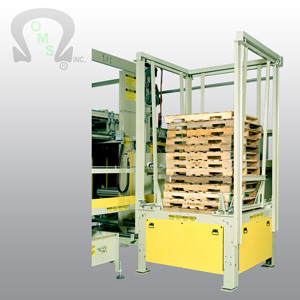 We offer adjustable stacker for multiple size pallet application. 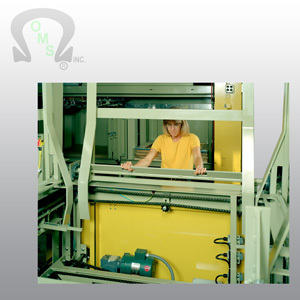 The system’s automatically operated hoist well side panels provide bi-directional pallet stack slant straightening.